When you hold an important meeting, you want it to make a real impact. Whether you’re meeting a prospective client, hammering out the details of your next big venture, or looking for investment into a project, you want your meeting to make the best possible impression. That’s where our secret rooms London step in – perfect venues for adding an air of exclusivity and intrigue to your next big meeting. We’re lucky in the capital to have a great range of secret rooms in London, each perfect for impressing business partners, clients, and employees with their awesome atmospheres and cool, secretive, underground vibe. 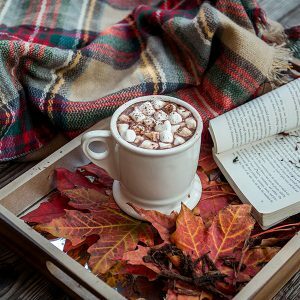 Sure, you could take your potential investors to one of London’s flashier, mainstream clubs or restaurants… but that’s not exactly going to make you stand out from the crowd, or come across as a businessperson of real taste and distinction. These secret rooms in London are experienced venues which have made a real effort to establish a winning vibe, and excel at creating an atmosphere which screams exclusivity. They’re absolute hidden gems in this bustling, vast, and ancient city, and if you’re looking to host a meeting that really hits the high notes, they’re an ideal choice to consider. 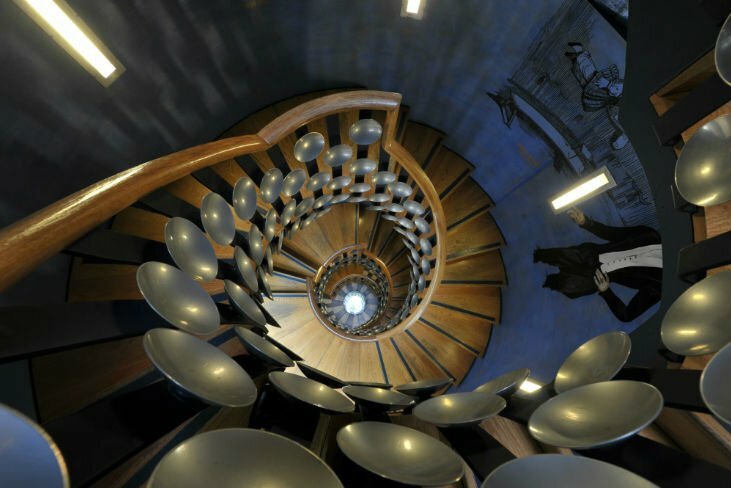 Let’s dive into the secretive world of hidden venues and exclusive spaces, and check out seven of our absolute favourite secret rooms in London that are just waiting for your booking! What makes it special: Atmospheric, secretive, and brilliantly exclusive, this hidden bar really hits the spot when it comes to seeking a venue that’ll leave your guests feeling as though they’ve stepped into one of London’s best kept secrets. If you’re looking for a small venue which really ramps up the atmosphere and offers on-trend speakeasy vibes, this bar really ticks all the right boxes. It’s accessible via a juice bar right in the bustling heart of central London, and once you’re downstairs, you’re faced with a beautiful subterranean cocktail bar, lit by candlelight and absolutely dripping with class and a sense of exclusivity. This is a venue which celebrates the antique and the unique, and is packed full of 1920’s features which create an unforgettable prohibition-era vibe. If you’re looking to show off what’s in fashion in the coolest London creative sectors right now, then this venue is surely the one for you. What makes it special: Cool, calm, and creative, this gallery space is perfect for buzzing meetings that need big ideas. As beautiful as it is unusual, there’s no doubt that meetings held in this stunning gallery will bring the most promising results. When it comes to truly beautiful, awe-inspiring meeting spaces in London with a hidden, exclusive vibe, they don’t come much better than the White Rabbit Gallery. Stepping inside this venue is like walking into a space built for inspiration, and there’s no doubt both you and your meeting partners will be blown away by the way this venue has been put together. You won’t find any utilitarian seating, hotel room carpets, or standard strip lighting in here – every aspect of this venue has been carefully designed to ensure that creativity and intuitive thought permeates every square inch. Secretive, unusual, and absolutely brilliant for medium and large-scale meetings, we reckon it’s a real winner on the scene. What makes it unique: A better question would be what doesn’t make this venue unique? 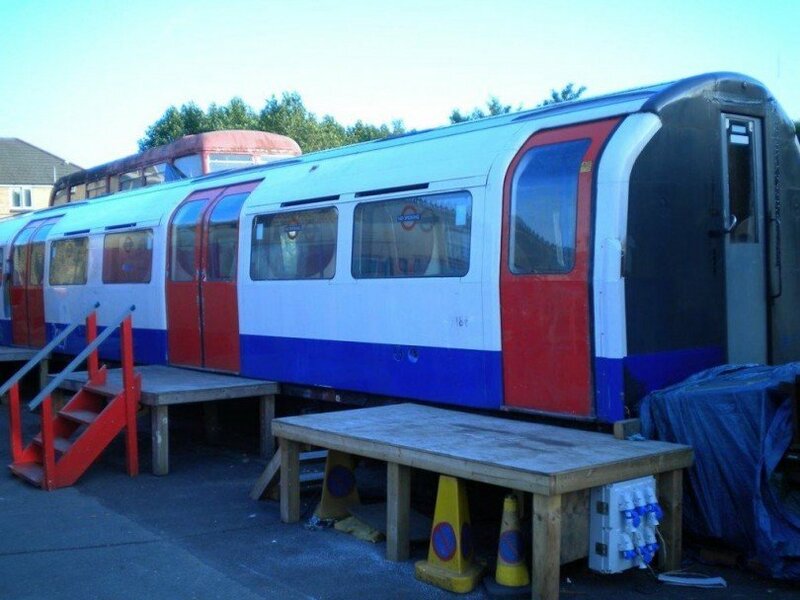 Housed in a disused London Underground train, this secret meeting space is as unusual as it is fun, and as iconic as it is unexpected! The London Underground is a truly iconic service, imitated across the world and widely considered to be a design classic. As such, if you’re looking to hold a meeting where creativity and enjoyment are to be key, we can’t imagine a better venue than this one. With fully functional cab lights and passenger doors, stepping into this secret room in London is a bizarre and memorable experience, and one which is sure to get ideas flowing and faces grinning. It also demonstrates a key trend in London right now: the ability to repurpose old spaces and ideas in inventive and unexpected ways – factors which may be vital to the success of your business meeting! What makes it unique: Housed in an abandoned tube station, Cahoots is a chance to travel back in time to the vintage class of the 1940s. As far as business meetings go, this venue is packed full of fascinating details which are sure to impress potential clients and partners! Imagine taking your clients into this secret room in London! 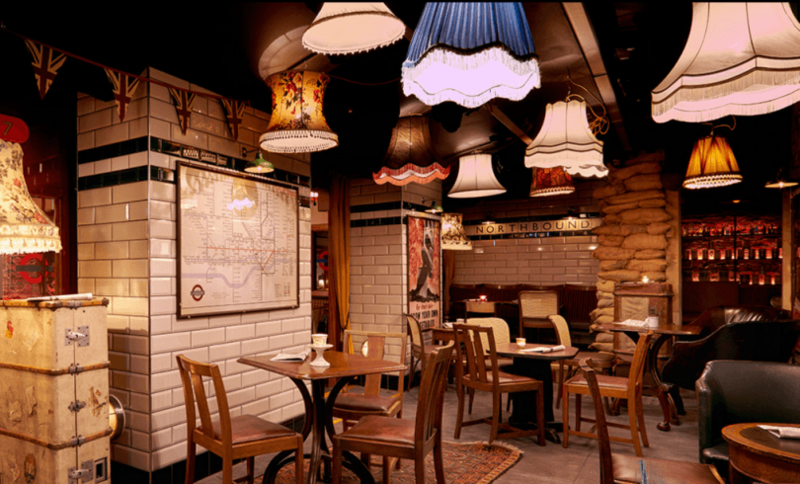 Not only is it housed in an abandoned tube station (which, let’s face it, is pretty cool in itself), it’s been designed to represent a time capsule of the 1940s, complete with period furnishings and funky banquettes to sit out and hammer out your latest deals and ideas. The whole effect is one which balances fun with elegance and sophistication, and it’s one of the best hidden gem venues in the capital today. Once your meeting is done, you’ll be able to order a classic vintage cocktail, and perhaps even take a ride on a train that leaves from the platform – how could that fail to impress and amaze? What makes it unique: This venue is the headquarters of the one of the world’s most famous secret societies, and is absolutely rammed full of character rooms and curiosities. Beautiful, elegant, and utterly mystifying! Walking into The Magic Circle in central London is like stepping inside all of your coolest childhood daydreams. Your clients and guests will be wowed by the spectacular ‘floating’ staircase that greets them at the door, and thanks to the mysterious and characterful meeting rooms and event spaces which hide behind the unassuming facade of this building, your meetings are sure to be filled with intrigue. There’s so much to see in these secret rooms in London, and you’ll not be able to resist walking around open-mouthed at the curios and oddities on display! 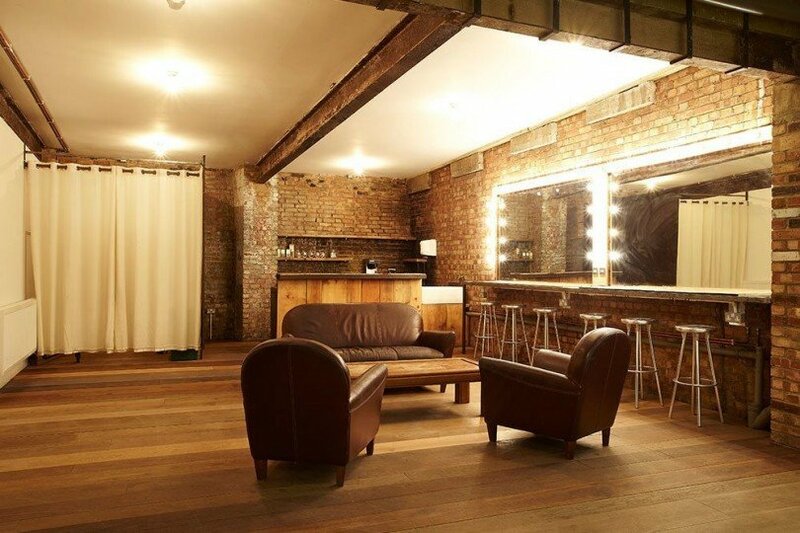 Your clients will absolutely adore the vintage American vibe of this cool and unusual meeting space in ever-trendy East London. 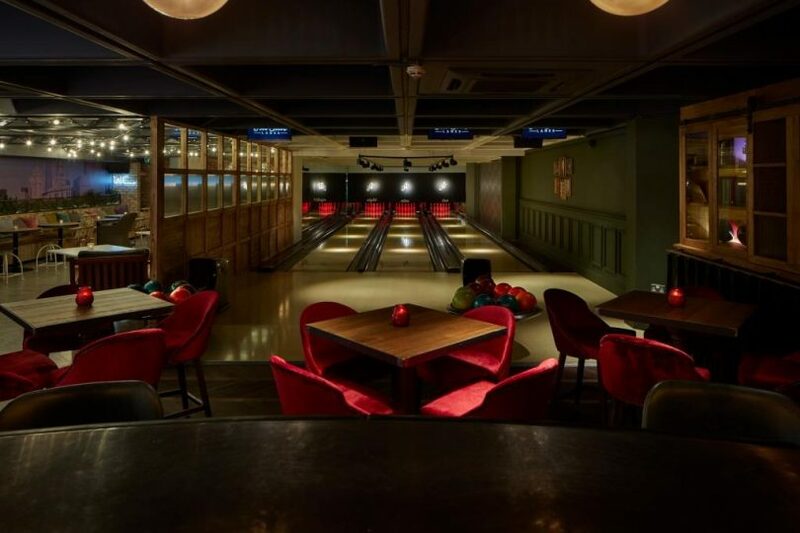 In the main space, you’ll find a bustling and stylish bowling lane and cocktail bar. Head upstairs, however, and you’ll be faced with a gorgeous secret room which really packs in the exclusive vibes, and which can become your own private party pad for a meeting your guests and clients will never forget. 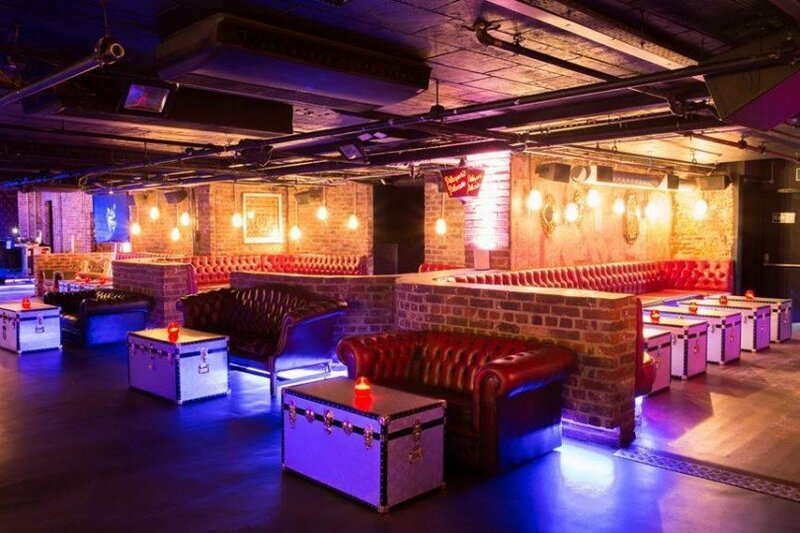 Great food, great atmosphere, amazing cocktails… it’s really a secret venue that has it all! What makes it unique: situated in the heart of Covent Garden, this venue shows off the very best of modern London design and hospitality. Balancing accessibility with a secret, underground vibe, it’s sure to impress all who venture into it. You’d never guess that behind a medieval doorway in Covent Garden lies one of the capital’s most sought-after secret venues. 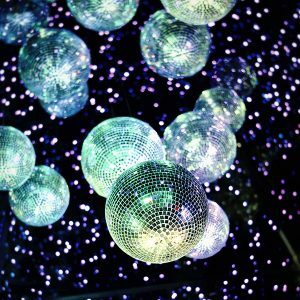 However, The Drury Club is exactly that, and this venue pulls out all the stops when it comes to seriously impressing with its incredible, laid-back, underground atmosphere and flawless level of service. With exposed brickwork, ambient lighting, and a vibe which sits somewhere between sophisticated Parisian hideout and cool New York speakeasy, there’s no wonder this is one of the most talked-about meeting spaces in the capital today. Exclusive, beautiful, and utterly beguiling, it’s a venue you simply have to check out. There are plenty of different components which make up a successful meeting, but we’re convinced that choosing the right venue is among the most important. With these secret rooms London, you’re sure to seriously impress your guests or clients, and give them an experience of the capital that’ll make the best possible impression, and have them feeling like they’ve stepped into an exclusive club… and who doesn’t want to feel that? At Venueseeker, we’re committed to finding the best venues for all your needs, and that’s why we’re considered a top-notch service provider in our industry. 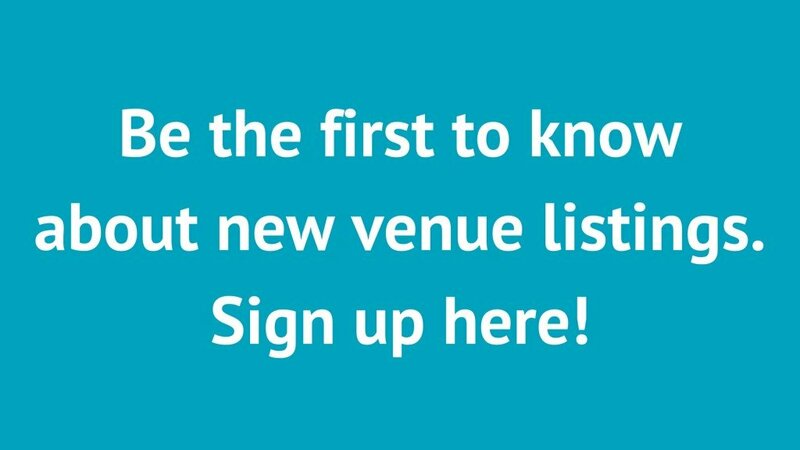 Get in touch today to see what else in on our books, and what more we can do for you and your event!